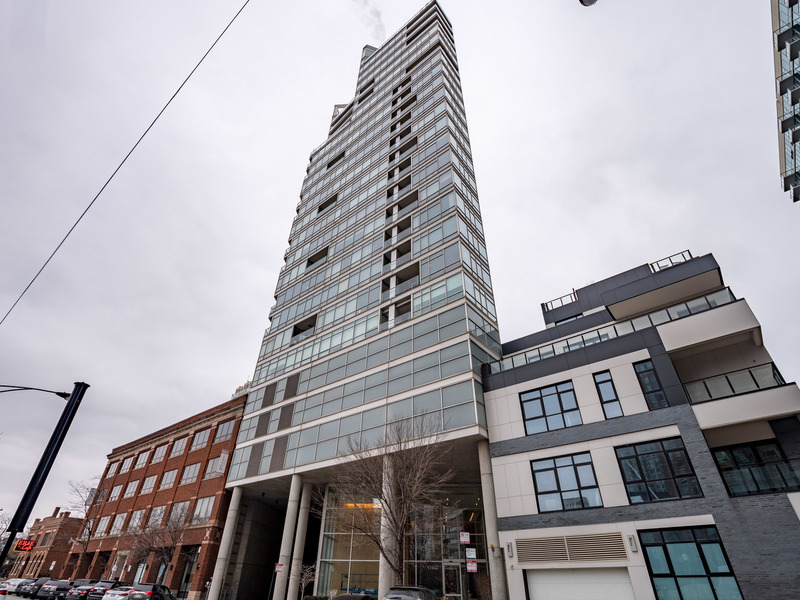 Rarely available 3 bedroom 3 bathroom corner unit in River North's premier high rise, Erie on the Park. This home has protected views of Montgomery Park and the river. Floor to ceiling windows flood the space with light! Immaculately maintained by couple in the design industry. Master suite features custom bath with imported double vanity and Indian marble floors. Beautifully curated gourmet kitchen with Bulthaup cabinetry, Transceramica counters, custom Dornbraucht fixtures, and Artemide lighting. Balcony over the park features porcelain tile floor and room for your grill, table for 2 and private garden. Elfa closet system throughout to maximize storage. Premium oversized parking space with direct elevator access. Secure storage unit adjacent to parking. 24/7 front door staff, on site manager, exercise room on same level as unit. Live in the best part of River North, steps from everything and home set in a wonderful neighborhood feel.